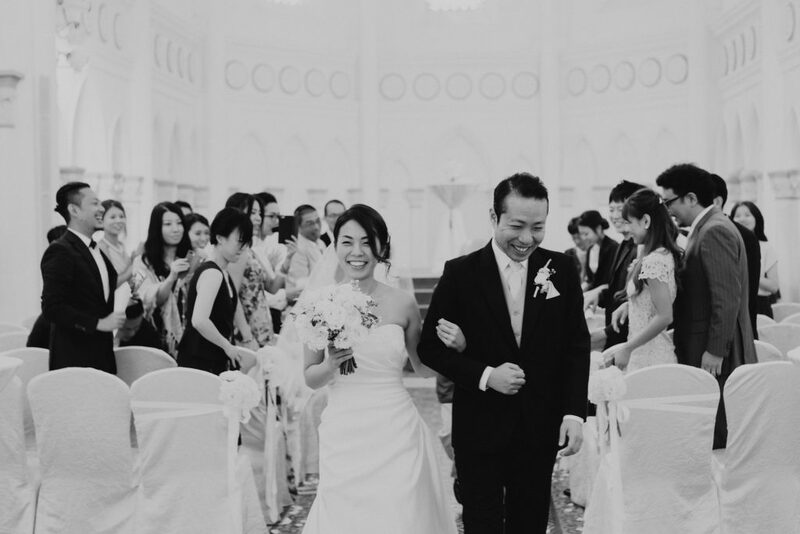 When we first met our couple N & N, who are both Japanese residing in Singapore. 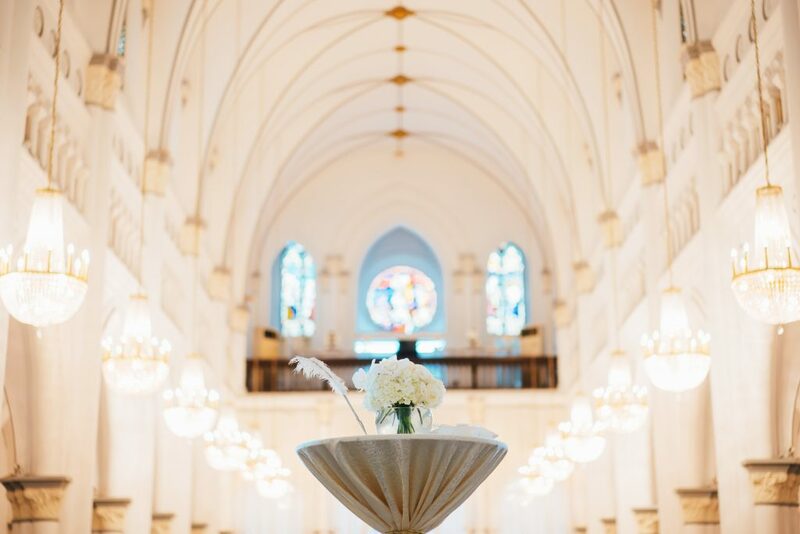 The bride already had some ideas of how she wanted her wedding to be like, and one of her requests was to walk down a long aisle in a beautiful chapel. 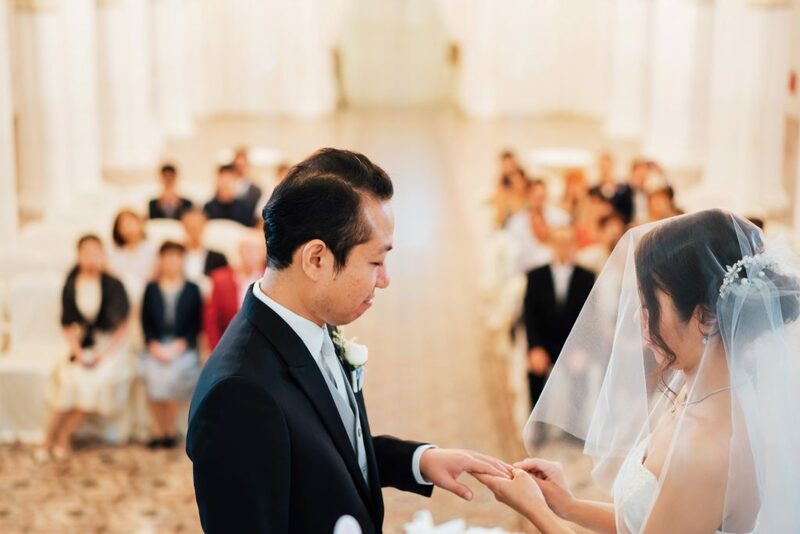 It is common in Japan for venues or even hotels to have their own non-religious chapel built specially for weddings, hence we often get many requests from our Japanese brides wanting to have their wedding ceremony in chapels here as well. 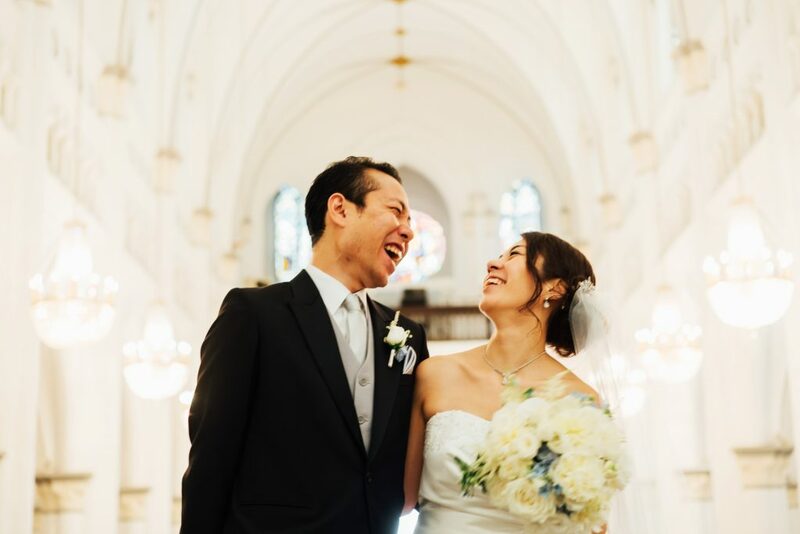 Unlike Japan, chapels in Singapore require couples to be members of the church. 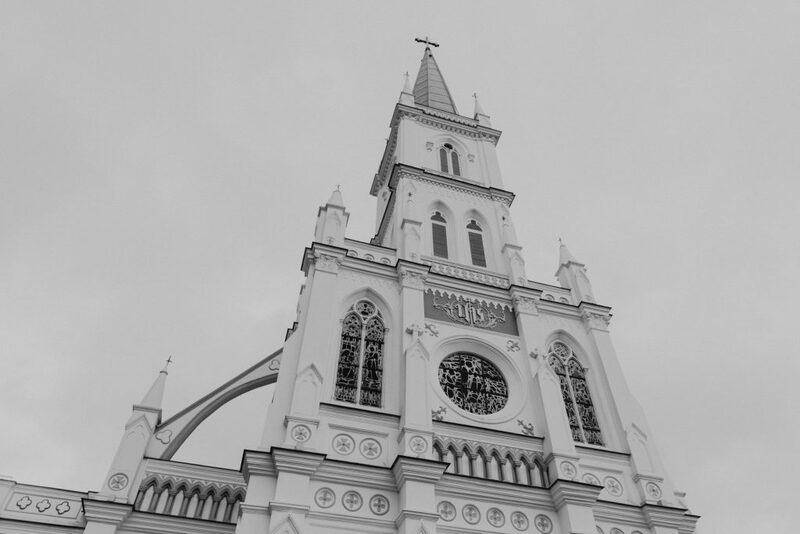 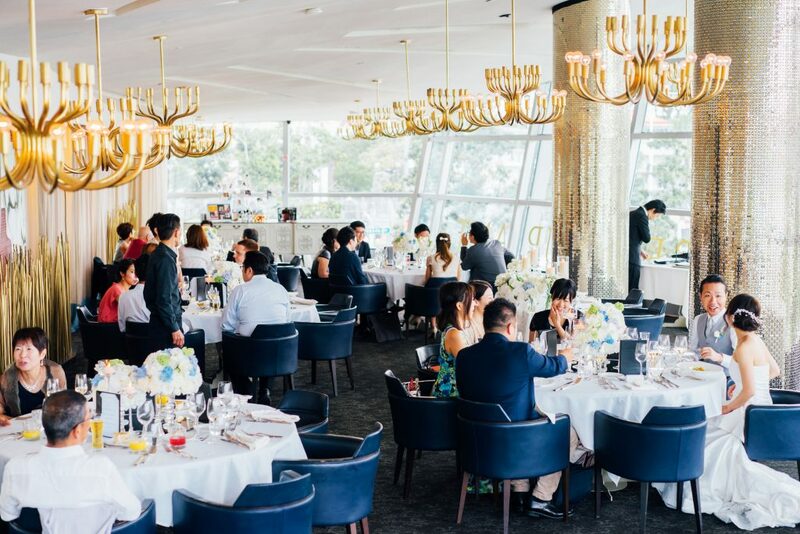 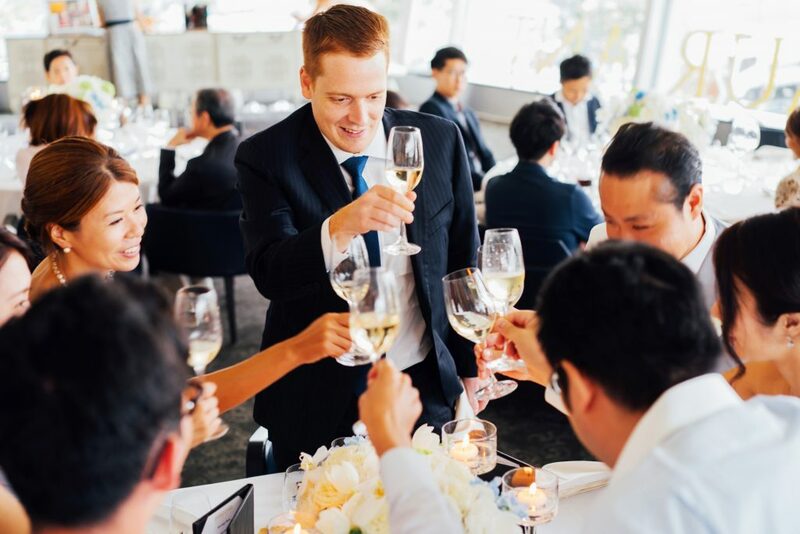 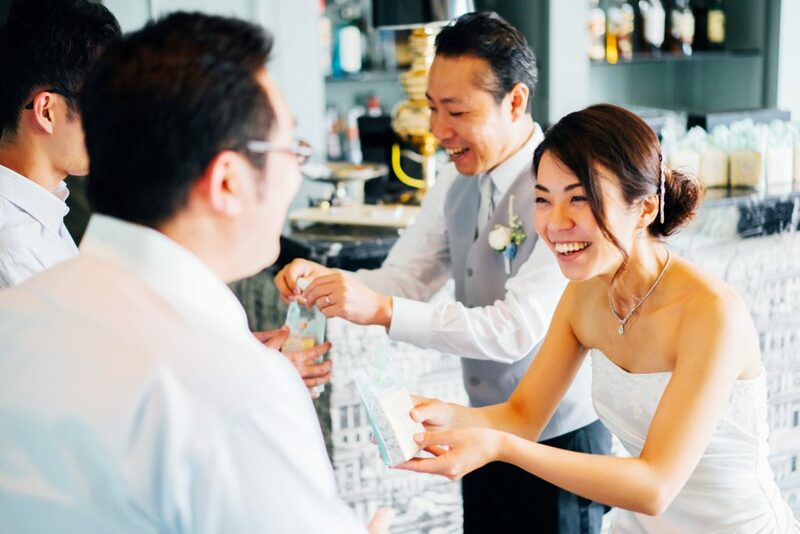 There are only a few non-religious, chapel/chapel-looking venues that are available for public to book for weddings – namely Chijmes, Armenian Church, and White Rabbit restaurant (which is more suitable for the reception instead of ceremony). 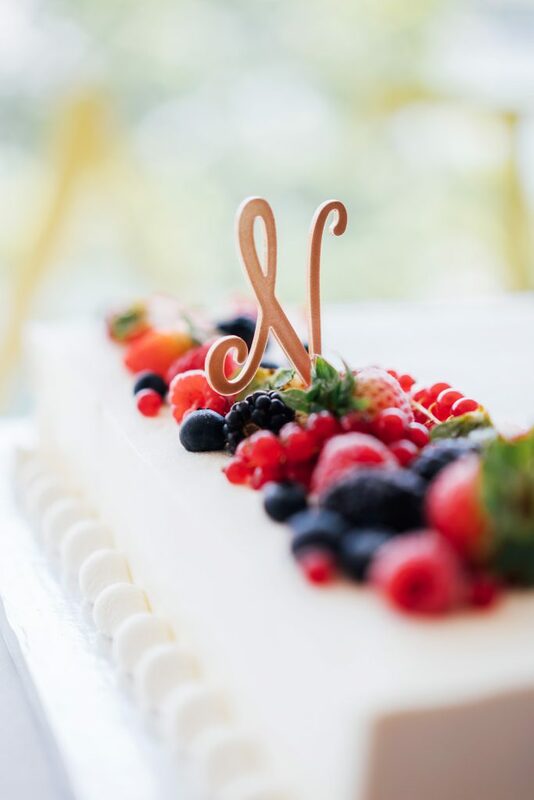 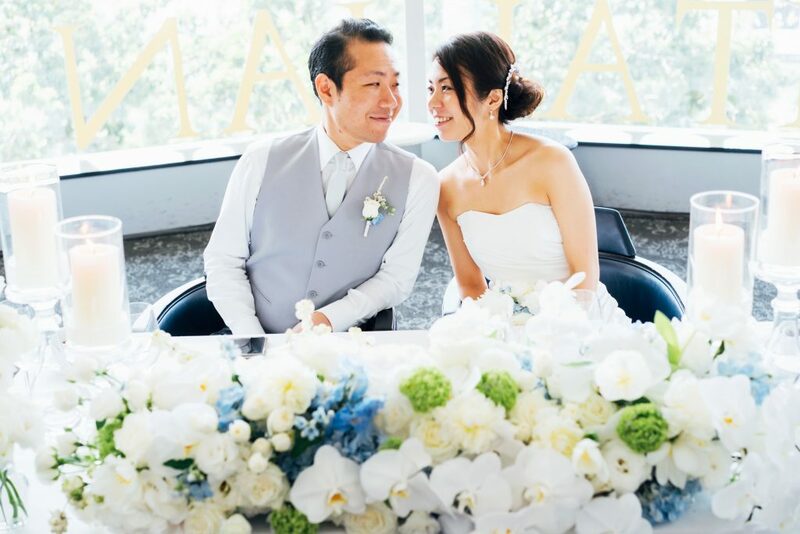 The couple eventually settled on Chijmes Hall, which is one of the most popular venues among our Japanese couples, for the ceremony, followed by a lunch reception at Forlino restaurant. 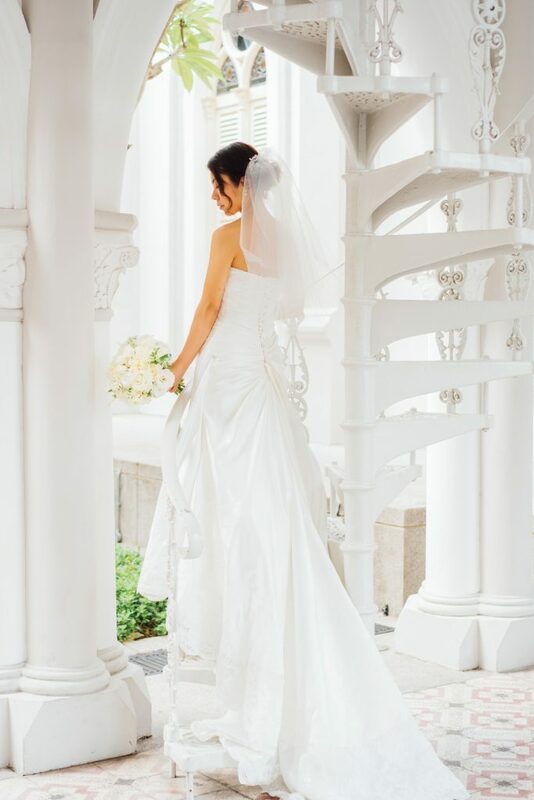 The Chijmes Hall has a bridal changing room, specially catered for the brides. 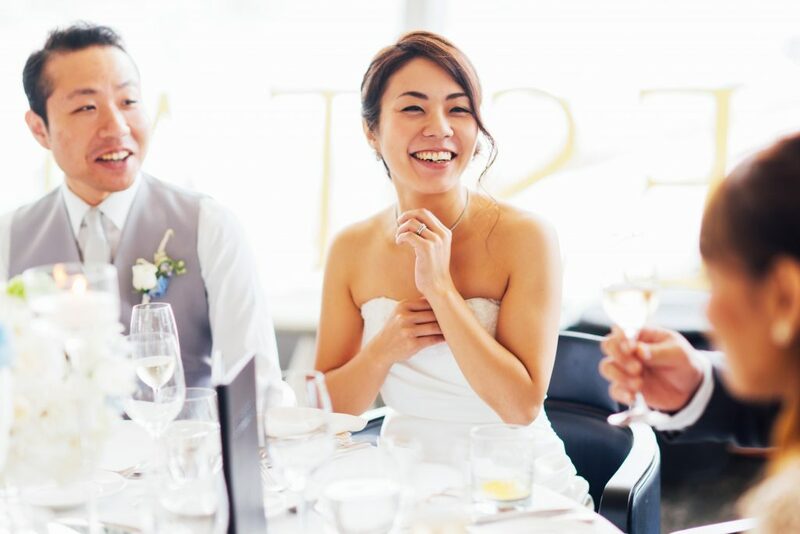 The bridal changing room can be opened earlier prior to the wedding ceremony for brides makeup and preparations. 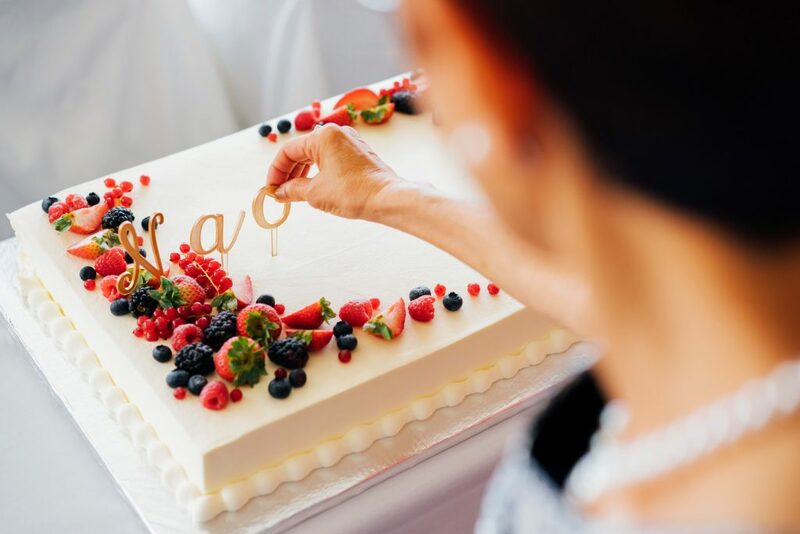 Catered in some time for phototaking before the transport comes over to bring the guests over to the wedding lunch venue, Forlino. 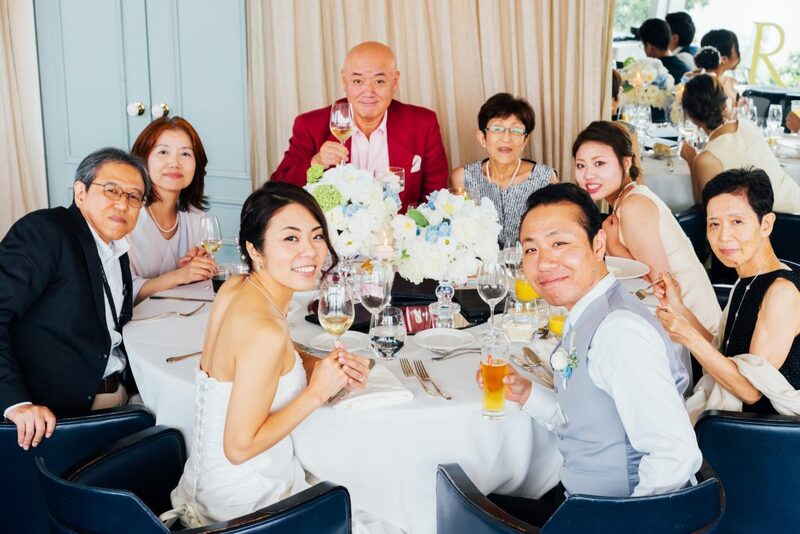 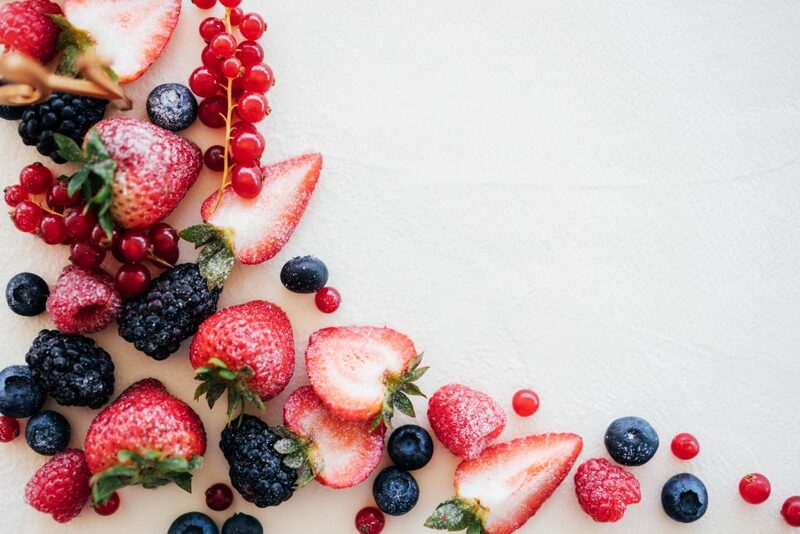 It was an intimate lunch of only 30 people, and the couple wanted time to interact with all of the guests hence they went “table-hopping” throughout the lunch whereby they would switch tables at every change of dish. 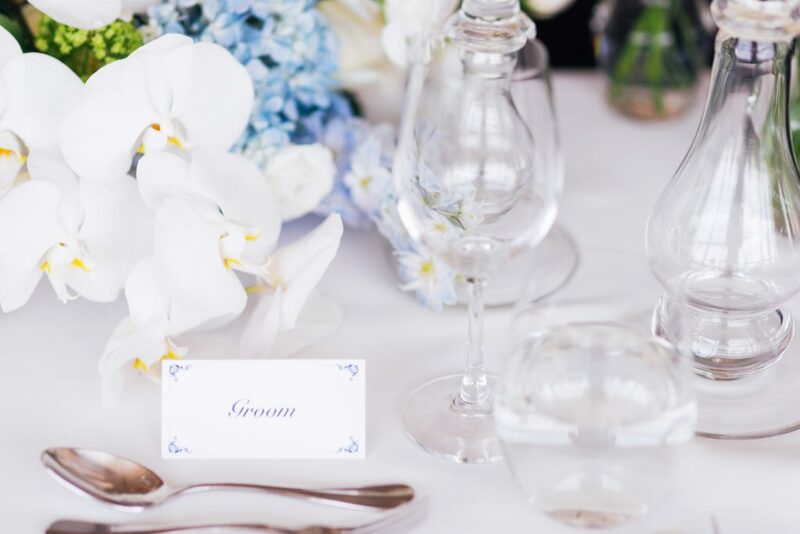 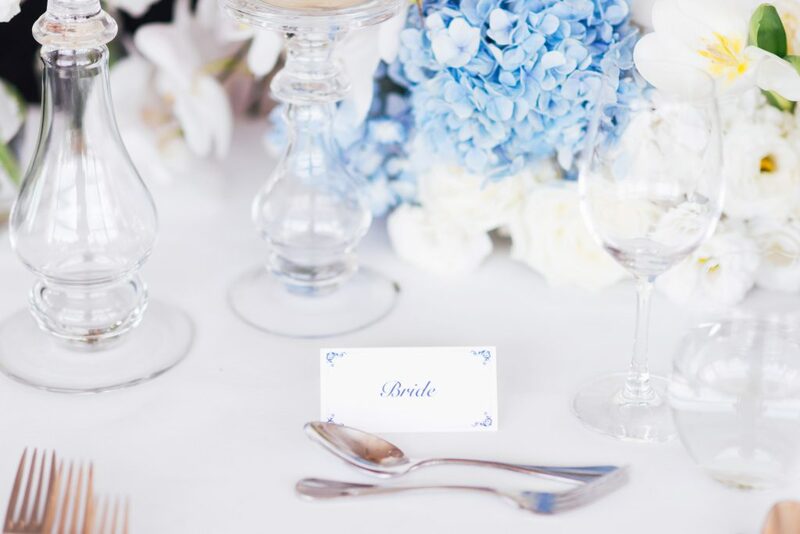 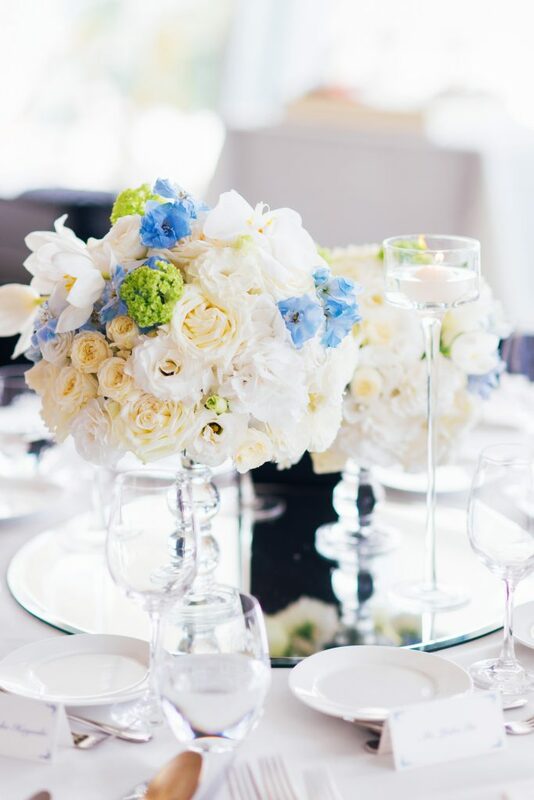 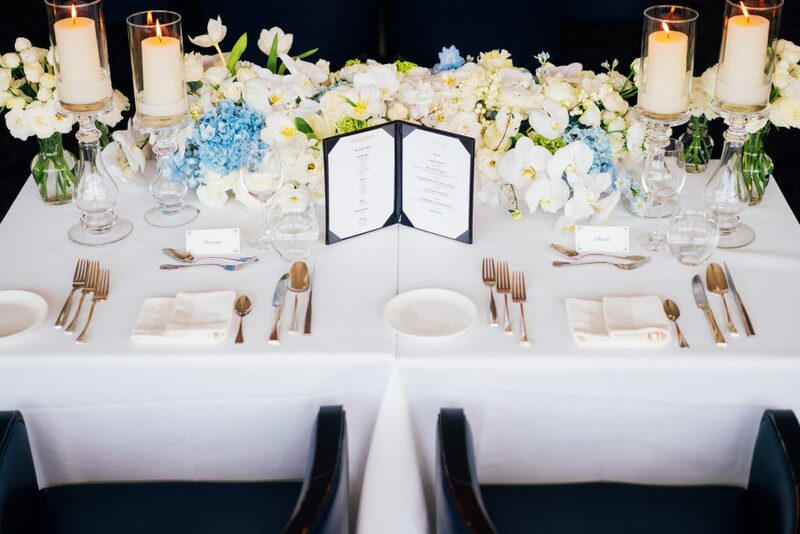 The bride wanted the color theme to be clean and elegant to complement the lunch venue, and we added touches of blue as it being the bride’s favourite color. 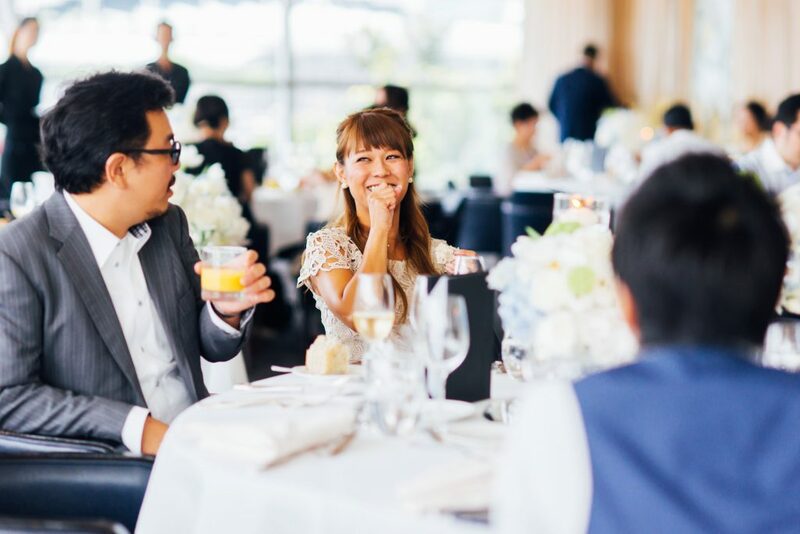 Candid moments during lunch before sending the guests at the end of the wedding lunch. 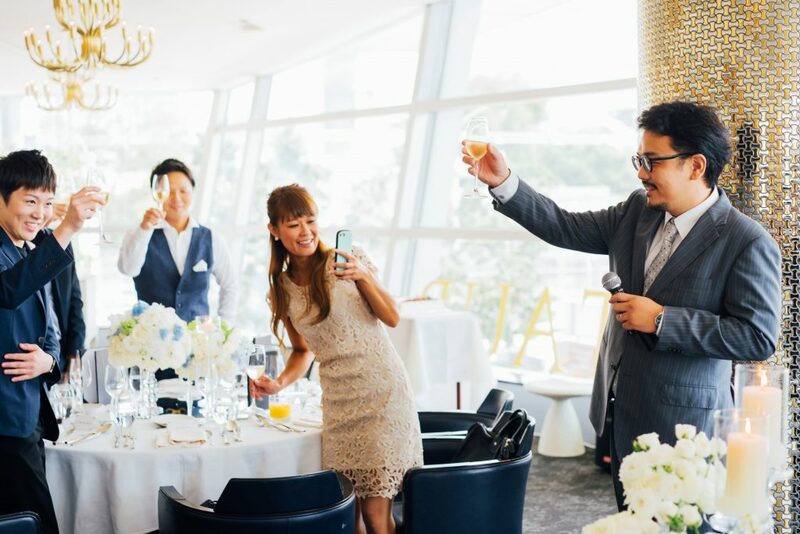 Always a pleasure organizing warm and intimate wedding celebrations like these. 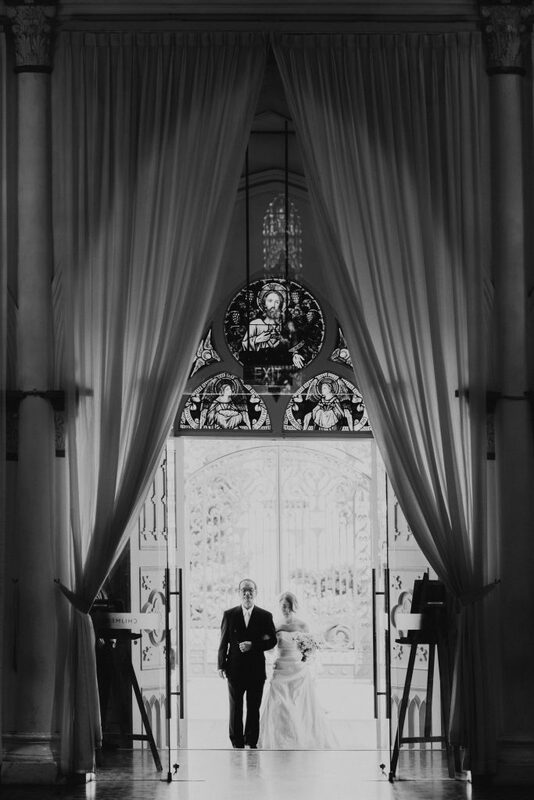 Credits to Alwin from Wearetrouve for the lovingly captured images.